I was drawn to the “Ameracauna” because of the colored eggs they lay and because of a family connection to Chile where chickens used to breed the blue egg layers originated. Tracing them is somewhat like solving a puzzle, not at all like the piece I did on the Orpingtons. Truthfully, much of what is found in print on the breeds is at least partially myth if we are to believe archaeologists and such respected sources as the Ameracauna Breeders Club. Some sources claim the Ameracauna was created from the Araucana although there is a mere 8 years between when the breeds were officially recognized, all agreed, however, that they both descend from South America, and Chile in particular. The debate about the evolution of this breed stems from a great deal of research to determine whether chickens are native to America or whether they were brought over with the earliest explorers. The Araucanas and Ameracaunas are not considered an ancient breed but they were created from chickens known to inhabit parts of South America by at least as early as about 1500. Some 83 ancient chicken bones have been unearthed near the central Chilean coast (about 530 Km south of Santiago and 100 Km south of Concepcion and claims are that they have been radiocarbon dated from 1321 to 1407 AD. Did the chickens travel from Europe to South America? “Maybe. The earliest recorded introduction of Chickens to the Americas was in 1500, when Pedro Álvares Cabral gave a single hen to a Brazilian Indian. But whether her offspring could have been carried to Argentina, where they were reported by 1515 or to Peru by 1532, when Pizarro arrived and they were already supposed ‘an integral part of Incan economy and culture,’ seems unlikely.” – Anthropologist Jim Stewart. DNA testing suggested a Polynesian route to South America, however, most have disregarded that theory. Jesuit Father José de Acosta wrote in 1590 that there were some hens in the Indies before the Spanish came. The Portuguese explorer, Magellan, has been credited with describing poultry similar to Araucanas on the west coast of South America in 1519 as did the Spanish naturalist and general, Cabot, in 1526. Cabot noted the blue eggs. “Some would say that it is “America’s NEWEST breed”, emphasizing its most recent developments; but that description overlooks and would deny the long history of the bearded, muffed, tailed, blue egg layers that existed long before adoption of the ABA and APA Standards for “AMERAUCANAS”, when such birds were being raised and shown as one type of “ARAUCANA”, going back to imports from southern Chile in the 1930’s.” – Richard A. Orr, Eastern District Director, Monroe, CT. 1998. The Araucana got its name from a poem written in 1556 by Alonso de Ercilla. He praised the Mapuche Indians for their bravery when attacked by the Spanish and the name Araucana from the title of the poem “La Araucana”, came to refer to the Mapuche. “The name derives from the Gulf of Arauco, near Concepcion, Chile”. – Orr. 1998. Most published information indicates the Ameraucanas were bred from the Chilean Araucana, a rumpless chicken that came in various sizes, shapes, and descriptions. The one unifying factor was the laying of blue eggs. The Ameracauna Breeders Club, however, says both the Araucanas and the Ameraucanas were bred from mongrel (mixed breed) chickens. The first was recognized as a breed in 1976, and the latter in 1984. Dr. Rueben Bustos, recognized as a chicken expert in Chile, developed a strain of chickens which he described in 1914. The breeds didn’t become well recognized outside Chile until Professor Salvador Castello, another poultry expert, photographed the chickens being exhibited in Santiago in 1914. Later the birds were described in a paper to the First World’s Poultry Congress held in the Hague in 1921. Mr. Orr places the confusion regarding Araucanas at the feet of Prof. Castello who unknowingly said in his paper that the Araucana was a breed of chicken, but instead it was actually the outcome of several years of cross-breeding done by Dr. Bustos. Prof. Castello corrected his paper in 1924 but the damage was done as the information in his original 1921 paper had already been circulated far and wide, and remains in print and is still in circulation today. The common Chilean chicken, similar to ordinary European chickens, some lines laying blue eggs. The size, crest, and colour of plumage depend on the parents. A considerably smaller and rumpless, thus missing the tail, and more common than the other two types. They are called Collonca or They all lay blue eggs. The “normal” chicken with a rump/tail, tufted, and commonly called Some of these laid blue eggs. According to the Ameraucana Breeders Club, Dr. Bustos used a “composite of breeds” to breed the original Araucana. Whether a single variety of South American chicken or a combination of breeds of South American chickens were bred to create the variety, the fact is that they all originated in South America, Chile to be precise. The contention regarding the history of the breeds seems to be a difference between muffs and tufts both of which could be found in native South American breeds. “An Araucana chicken has ear tufts (not the same as muffs) and is rumpless, meaning it doesn’t have a tail. An Ameraucana has muffs and a tail. Both breeds have pea combs and lay blue eggs, but have just as many differences as similarities or common traits according to the Standard”. – John W. Blehm, as found in the June/July 2007 issue of Backyard Poultry. The first American to publish a description of the Araucana was John Robinson in the “Reliable Poultry Journal” in 1923. In Britain, the standards for the Araucana breed came from chickens that escaped after a shipwreck of a Chilean freighter in the Western Isles of Scotland, coincidentally where my ancestors are from. Mr. Blehm said in his article that there are only two true colors of eggs – blue and white. The gene for blue egg shells is dominant over the white. He says brown eggs are really white eggs with a brown tint or coating and green eggs are really blue with a brown tint or coating. “You can tell if an egg is truly white or blue when the inside egg shell color matches the outside”. Dissecting the gene pools of these chickens is much like separating out my own DNA. I am the sum total of generations of intermarriage and as such my make-up is unique to me, yet my children have my total DNA as well as that of their father. I am not a “pure bred” Scot although the majority of my ancestry is Scottish. I have a couple of English ancestors, but technically, aside from their political differences, Brits and Scots hail from the same island. Full-blood Native Americans like to consider people like me with some, but not all, Native American ancestry inferior, much as some like to do when arguing about the ancestry of the Araucana/Ameraucanas. They’ll point out that So and So used an Orpington or a Rhode Island Red somewhere in the cross-breeding process, much the same as I can find a couple of German and a French ancestor when I dig deep enough and dig even farther back and there are quite a few Scandinavian ancestors. None of that changes the person that I am. Granted I am not “full-blood” Scott or Native but I am true blue American. According to the Ameraucana Breeders Club a full 99% of chicks sold in this country by commercial hatcheries are mixed breeds, or what they term mongrels. This can be traced to the original fervor for the breeds when hatcheries began crossing the Araucanas or Ameracaunas with other breeds in order to crank out blue egg laying chicks as fast as possible. Chickens that lay blue eggs but do not meet the physical traits for true Ameraucanas are often called Easter Eggers. If purchasing chickens to show, do diligent research and make sure the chicks you buy are pure and possess the necessary traits for judging, otherwise choose what you like. For my interest, whether you call it an Ameracauna or an Easter Egger or a mongrel chicken, my chickens lay claim to a South American/Chilean blood line and lay blue eggs. I don’t really care to dissect their DNA further than that. The Ameracauna/Easter Egger has a tail, is muffed and bearded, has a pea comb and white skin. Wattles are small or absent. Earlobes, comb, and wattles are red. The shanks are slate-blue color which is closer to black in the dark or black color of the chicken. They begin laying when 5 or 6 months old and lay somewhere around 250 eggs annually in shades of blue. Those in my flock have legs and feet that are a dark bluish-green-black color. My first three are muffed and are the lovely blue wheaten color as shown on the Ameracauna Breeder’s Club photo page. It is too soon to tell what the four chicks that hatched just a few days ago (from eggs of a different source) are going to look like except that they will be darker in color with more markings on the wings. For clarity’s sake: A muff is usually associated with a beard – they are tufts of feathers sticking out from the chicken’s cheeks. Beards are feathers that stick out underneath the chicken’s beak. Think of them as chicken whiskers. Recognized colors for true Ameraucanas include black, blue, blue wheaten, brown red, silver, wheaten, and white. 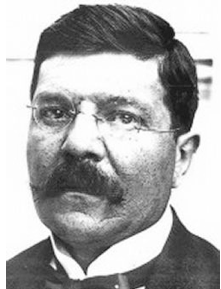 Prof. Salvador Castelló Carreras (photo above) was born 21 Aug., 1863 at Arenys De Mar, Spain. He studied Natural History at the University of Barcelona and Agriculture at Madrid and Gembloux, Belgium. He started a Poultry Breeding School in Spain and the title “Royal” was bestowed on it by His Majesty, King of Spain. The government granted it an annual subsidy and it was dubbed the Official Government-Institution. In 1914 when he photographed the chickens of Dr. Bustos, he was teaching in Chili and the Argentine. He created the first National Poultry Society in Spain in 1897. He planned an agricultural show at Madrid in 1902. Dr. Rueben Bustos, a veterinarian of the Army of Chile, claimed to have encountered the chickens while a Chilean military officer in the jungles of Araucania, during the Pacific War (1879-1883). He stated he encountered chickens without tails and when he asked about them the chief explained that foxes grabbed chickens by the tail and if the chicken had no tail it could more easily escape. In his writings, Bustos said he lived for 10 months in Chile and knew the chickens throughout Chile and Santiago. 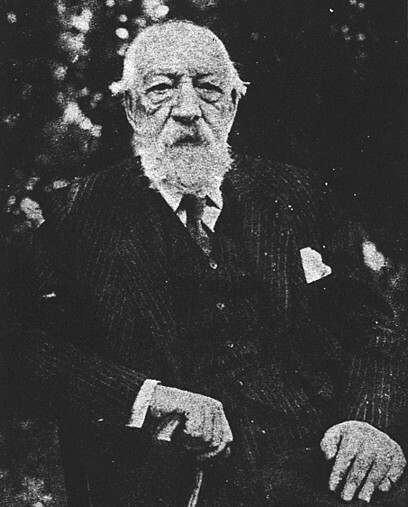 Clemente Onelli (photo below) was the Director of the Buenos Aires Zoo from 1904 to 1924. In a letter written by Senõr José Cantilo, Onelli was referred to as the founder and director of the Zoological Gardens. “This wonderful garden has been the life-work of Senõr Onelli, and to him the people of Buenos Aires owe an inestimable debt of gratitude.” He edited the zoo’s Journal in which he contributed 64 articles on animal behavior between 1905 and 1922. He worked as a border surveyor before accepting the position at the zoo. See: Browman, David L. “Advances in Andean Archaeology”. 1978. Jones, Storey, Matisoo-Smith, Ramirez-Aliaga. “Polynesians in America: Pre-Columbian Contacts with the New World. 2011. Martin, Franklin Henry. “South America from a Surgeon’s Point of View”. 1922. Storey, A. A., et al. “Radiocarbon and DNA evidence for a pre-Columbian Introduction of Polynesian Chickens to Chile”. Ntl. Academy of Sciences, USA. “Honey is the pure, sweet nectar of flowers, gathered by the bees, and stored in hives, where a chemical change and the evaporation of excess water transforms it into a clear, flavor honey”. That definition from 1865 is pretty straight-forward, yet for the last several decades delineating between “honey” and “honey product” hasn’t been so clear. Honey was being adulterated with foreign substances as early as the mid-19th century, most commonly with glucose, inverted sugar, or cane sugar. Adulterants were less expensive than honey and an unscrupulous dealer could increase profits by replacing a portion of pure honey with these substances. While we wouldn’t want to pay for syrup sold as honey, syrup is probably one of the more innocuous adulterants. By the 1880’s studies documented the use of such items as gypsum, chalk, pipe clay, and starch in addition to the above additives. In 1855, Hassal included honey in his list of adulterated foods, something Accum had not done in 1820. Hoskins published the first book on adulterants in the U.S. in 1861 and stated that hardly any honey on the market did not contain sweetened syrup or other matter. With honey, the old adage, “you get what you pay for”, may be all too true as cheaper brands of honey may be honey blended with sugar or corn syrup and foods that list honey in the ingredients may contain this same diluted honey, if any at all. Much of the diluted honey is produced in China where they add rice syrup or tapioca syrup as filler. Dan Whitney, a honey producer and president of the nonprofit Minnesota Honey Producers Association, says that by cutting the honey with syrup importers avoid import duties and the diluted honey is then sold to consumers under the name “honey” or used in processed foods. Whitney further said that because of laxity in the label wording the only way to know one was getting 100% pure honey is to purchase it from a local producer. Solidifying that statement, a study by the Food Safety News declared that 75% of honey sold in the U.S. is not pure honey. That study also pointed out that most honey sold in markets has been ultra processed to remove all trace of pollen after which it is no longer technically honey. No pollen, no honey. Samples used in that study were found to contain strong antibiotics and heavy metals, neither of which we want to consume. Honey from China imported by a California company who sold it to a raw material supplier who then stored it in a warehouse in Philadelphia was confiscated by federal marshals, analyzed, and found to contain chloramphenicol, an antibiotic not allowed in food. In an operation known as “honey laundering”, Chinese companies ship their tainted honey to another country where it is put into different barrels to disguise it and then imported into the U.S. in order to flood the U.S. market with antibiotic-laden honey product and ultra-refined honey. Not readily apparent to most of us, is the fact that removing the pollen makes it impossible to identify the source of the honey, and honey of unknown location may be better received in the U.S. than honey from China where these adulterations are known to be common. “Honey laundering” is beginning to look a little more sinister. One can almost envision a masked man shielding a honey bear container full of honey under a heavy dark cloak when reading about the covert actions taken to disguise the Chinese honey product on our market shelves. Besides the obvious, one must note that the perceived health benefits of pure raw honey are reduced drastically in honey laced with fillers, and in heat treated pasteurized or ultra-refined honey. Countless reports indicate the FDA has known about these issues for some years but it wasn’t until some legislators took up the crusade to better define “honey”, and get it labeled appropriately that any action was taken. It is sad to find forums online where consumers are questioning whether store-bought honey is 100% honey and nothing else and see how many people trust the labels on products that are not what they seem. Some of the brands known to contain adulterants are listed on the Food Safety News website. I ask you, would you rather trust a local bee keeper to give you 100% pure honey or buy one of the above products knowing it is not what it is advertised and labeled to be? I agree with the Indiana Board of Agriculture when they said, “Every adulteration of honey is not only a fraud upon the purchaser, but is down right robbery of the honey growers”.